M&T Bank is one of the top 20 full-service U.S.-based commercial banks, with 17,000 employees and a long history of community-focused banking. 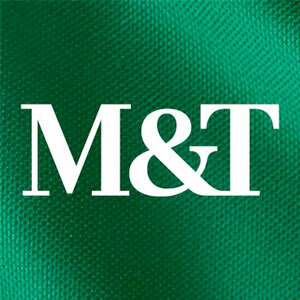 Founded in 1856, M&T provides commercial, retail, business, investment, mortgage and professional banking services through more than 750 branches and 1,800 ATMs throughout New York, Maryland, New Jersey, Pennsylvania, Delaware, Connecticut, Virginia, West Virginia and the District of Columbia. With a longstanding tradition of careful, conservative and consistent management, M&T is one of the best performing regional banks in the nation.